Do you post videos on Facebook? Have you tried retargeting your live and uploaded videos? To explore techniques for retargeting your videos, I interview Amanda Bond. In this episode, I interview Amanda Bond, who’s known as the “Ad Strategist” specializing in Facebook ads. Amanda also advises top social pros and has taught the ADdicted Facebook Ads course. Online, she’s known simply as Bond. Amanda explores Facebook video ads and retargeting. You’ll discover how to use Amanda’s technique to warm up your Facebook followers. 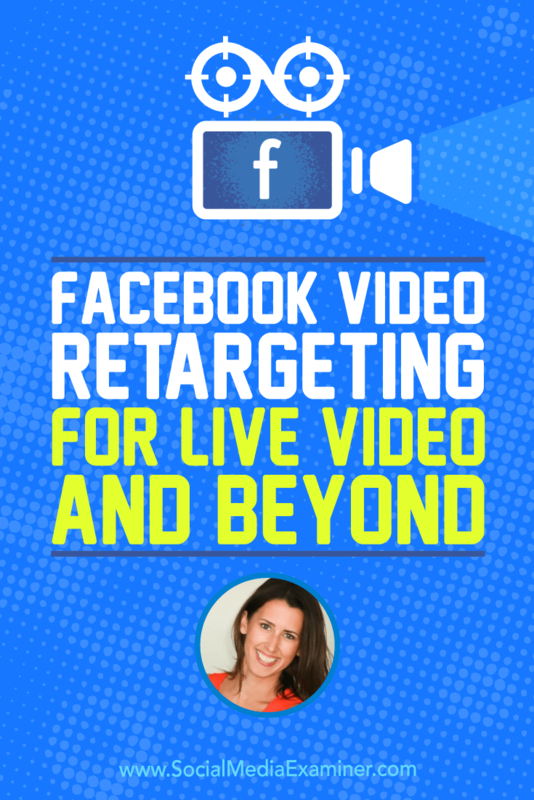 Facebook Video Retargeting for Live Video and Beyond featuring insights from Amanda Bond on the Social Media Marketing podcast. Before Amanda started working in social media marketing, she worked with big brands such as Pepsi and Labatt. As a salesperson for Pepsi, she went door to door to compete with Coke. After she sent two truckloads of Pepsi to a store for a large sale, Coke sent three. Looking over 110 pallets of pop, Amanda realized that the impact she was having in her sales role wasn’t aligned with where she wanted to show up in the world. To move forward, Amanda decided to give back through her local Rotary service club. As the club’s youngest member, she was encouraged to become their social media manager. When Amanda started working with her Rotary club in 2013, social media marketing felt like magic. Talking to people on the Internet seemed to create relationships out of thin air. However, Amanda quickly learned the impact of social when she used social media marketing for a live local Rotary event. To promote the event, the Rotary club used traditional marketing such as ads in the newspaper, and Amanda used everything she’d been learning about social media marketing. Throughout the weekend, the club expected 4,000 people to attend, but 23,000 people actually came, largely due to social media. Success in social media led Amanda (a.k.a. Bond) to become the Ad Strategist. That was Amanda’s impetus to change direction in her career and she became a social media manager. As she became more versed in Facebook ads, she found that being an ad strategist was a great niche for her as a math and data nerd. Amanda now teaches and helps other businesses behind the scenes. She loves doing the deep dives into the data, helping people see the story the numbers are telling. Listen to the show to hear about Social Media Examiner’s role in Amanda’s early social media marketing efforts. The words retargeting and remarketing are interchangeable. Most people know about retargeting through the Facebook pixel, which is a tiny code snippet you add to your website. When someone lands on a page with this code, the Facebook pixel sends a message back to Facebook, saying something important is happening. Facebook has opened up new ways to retarget people (or show them content or ads based on prior actions), including video retargeting. Because Facebook has been emphasizing live video and video in the news feed, Amanda is especially excited about these video retargeting features. Anytime somebody sees at least three seconds of a video (recorded or live), Facebook takes note of who they are and puts them into a retargeting custom audience that you can use to retarget them again and again. 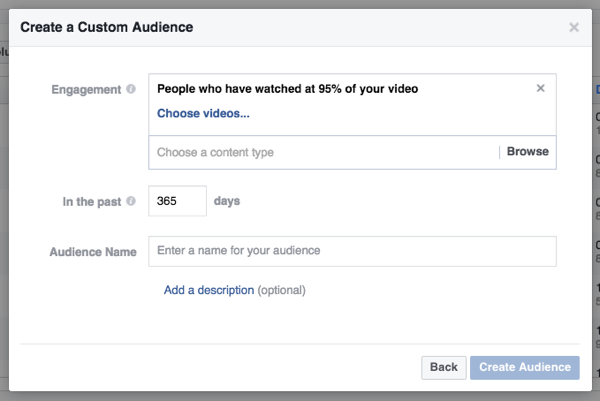 Facebook lets you retarget people based on video views. In that connection phase, your audience may be cold (they may not know or have heard of you), so you have to warm them up before going for the sale. Facebook is an easily consumable medium for warming up audiences because users are constantly scrolling through their timelines, seeing and interacting with videos. When you keep that entire interaction on Facebook, it’s easy to nurture those relationships and warm people up to your brand. Listen to the show to discover why Facebook’s retargeting custom audience simplifies retargeting compared to earlier methods. To create a video custom audience, you don’t have to do anything before you go live or upload recorded video. As long as you go live or upload video to your Facebook business page, Facebook automatically creates the audience for you. (This functionality doesn’t work with videos on your Facebook groups or your personal page.) 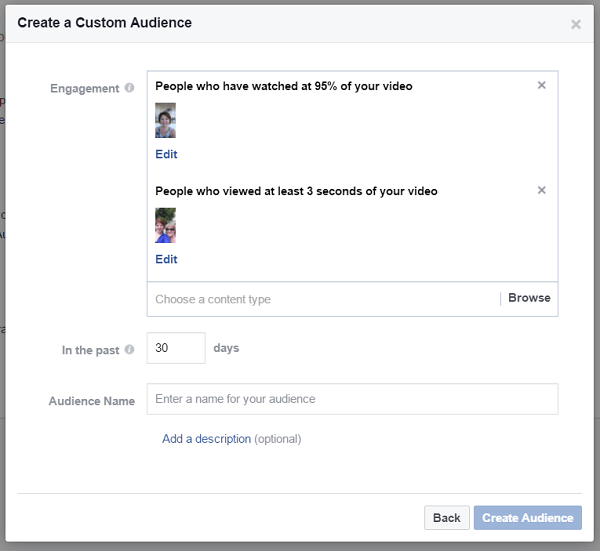 The custom audience will include anyone who watches at least three seconds of any video on your Facebook business page. Create a custom audience and choose the length of time someone had to watch to go into that audience. From that automatically created custom audience, you’ll want to set up your desired options. You can refine the custom audience based on how long someone watched the video and which video someone watched. For example, Amanda says you can choose an individual video or create an aggregate of all of your video viewers. If you’re launching something and need a large audience, you could group viewers all together. If you’re looking to create a specific follow-up sequence, you might select one video at a time. To set up your options, open your Audience dashboard inside Facebook Ads Manager. Click Create a Custom Video Audience. Next, choose how long the person had to watch to go into that audience. It starts at 3 seconds, goes to 10 seconds, and then to 25%, 50%, 75%, and 95% of the video viewed. Then, select whether people who watched any video or a specific video see your ad. Amanda compares a three-second viewer with someone who watched 95% of your video to illustrate the applications of custom audiences. For instance, say you have a 15-minute video with excellent, actionable content that goes to a sales page that’s highly relevant to the same topic. If someone consumed 95% of the video, they’re highly engaged. So ask them to take the next step in your relationship. Send them to a lead magnet or retarget them with a sales page. You can take quicker action with someone who watched a longer portion of your video. Use the duration of video views to guide your remarketing. On the flipside, you want to run retargeting ads to your three-second viewers too, because they have a branding impression of you from when they saw your video in their timeline. However, instead of asking them to share their email or sending them to a sales page, nurture that relationship. One way to do that is to show them another relevant piece of video content, something that adds more value to whatever your brand is offering. Next, I ask about targeting live viewers versus people who watch the replay. Amanda says Facebook pushes live video because of the natural engagement. And it’s a great way to reach a larger audience. However, in your custom audience for retargeting, the distinction between live and replay viewers doesn’t matter. Facebook groups the metrics (who watched live and who watched the replay) together. For instance, you go live for 15 minutes and get 1,000 views. Afterwards, the news feed continues to serve your video to people who like your page and to the friends of people who have engaged with the post, and you get an extra 500 views in the next 24 hours. All 1,500 people go into the retargeting audience. To illustrate how you can combine custom audiences for retargeting, Amanda shares some exciting examples. For instance, you can retarget a specific set of video viewers by combining custom audiences of people who watched different videos. Combine people who watched different videos into a custom audience. For the first video, set up an audience of people who watched 95%. For the second video, set up one audience of people who watched 3 seconds and another audience of people who watched 10 seconds. 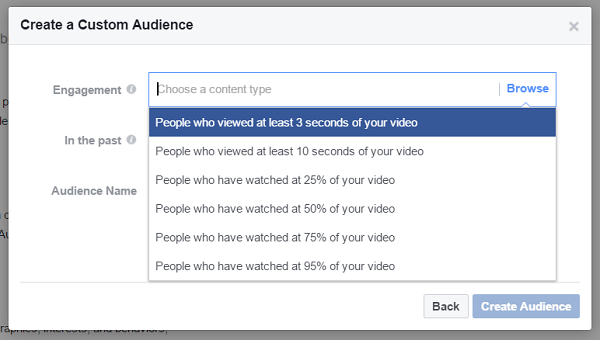 Then you can exclude anyone who watched more than 3 seconds by telling Facebook to exclude anyone in the 10-second audience. You want to exclude anyone who watched more than 10 seconds because the 3-second audience refers to people who watched 3 seconds or more. The resulting audience could be 100,000 people. After all those audiences are set up, you can retarget them creatively. For example, with the first video, you want to identify the people who are sticking around longer. They are hyper-engaged, which is a sign they’re ready to potentially take your relationship further or look at one of your sales offers. You can then say anyone who watches to the 95% mark will start seeing the second video. Those who don’t make it to 10 seconds on the second video can get a third video. Because the viewer has showed signs of engagement, you can use a cheeky tone in the timeline and say, “Hey, we started something here, but you left.” Customize the dynamic of the conversation to the different actions people are taking on Facebook. There’s also an option to target engagement in the Audience dashboard, which includes anyone who gives a reaction, likes, comments, or even clicks on your ad. You can even retarget anyone who interacts with your page. 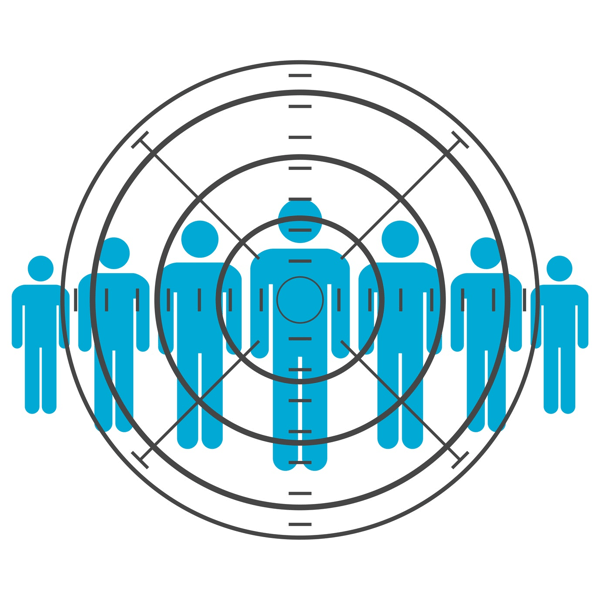 You can retarget anyone who interacts with your page. Listen to the show to hear Amanda and me discuss more retargeting features, including options Facebook may roll out soon. Amanda shares an example from one of her clients, communications stylist Nikki Elledge Brown, who has a copywriting program. Nikki’s prospects, who may not be aware of who she is, see a short and actionable video ad that teaches something fun. Anyone who watches 25% of that video from Nikki’s Facebook page gets retargeted with a registration to jump on the Write Your Site webinar. Because the short video is educational and builds trust, viewers are more likely to opt into the webinar. This opt-in improves their relevancy score on Facebook, which will then serve the ad to more people for less cost. You can set the retargeting ad to show immediately after someone watches the video or set a delay. Amanda and Nikki tested going straight to the webinar registration and it worked wonderfully. If it hadn’t worked so well, they would have tested showing another video before showing the webinar registration or waiting a day or two between the video and the retargeting ad. The beauty is you can create a sequence that fits your results. You can also monitor and adjust retargeting by device. For example, people may sign up for an email or webinar on desktop or mobile, but purchases may lean heavily toward desktop users. In this case, when you retarget content for people who are ready for a purchase, you can show that content only to people on desktop devices. Adjust your retargeting ad placement by device. When I ask if there are any pitfalls to avoid, Amanda suggests not over-complicating retargeting off the bat. There are many ways to over-segment and it gets confusing fast. As you test things, go slowly. Isolate each variable to understand what’s working. For instance, for your first video, see if people are watching it and for how long. Then put in your retargeting ad. Then find out if people are clicking the ad, what happens when they get to the landing page, and what the conversion rate is. After you have this information, you develop a clear understanding of what’s working and what isn’t. Stop guessing and focus on the results you get, which will tell you the next step to take. As far as budgets are concerned, if you’re doing an ad campaign and set it to optimize for video views, you can get views for fractions of a cent to 10 cents. From there, starting the retargeting process is also cost-effective. Start with $5 or $10 a day on one video. Then, for $1 a day, retarget people who are taking certain actions. As long as people are indicating that they’re interested in your content, it’s valuable to take a small audience to that next step in the conversation. 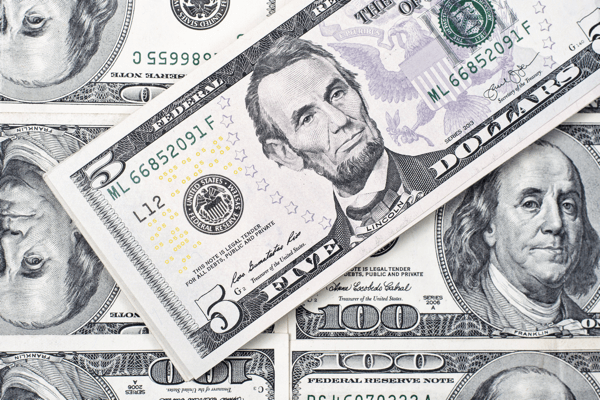 Begin your retargeting with a $5 spend. Amanda has some clients whose retargeting audience is zero on some days and 27 on others. However, Amanda’s clients continue running those ads because when prospects come into the pipeline, those people get the exact information the client wants them to see. In 99% of Amanda’s tests, she finds it’s economical to retarget people because they develop a brand affinity. They’ll pause because they know that face or click to register for a webinar or check out a sales page. You’re no longer a stranger in the news feed trying to sell them something. You’re at the beginning of a relationship. Listen to the show to hear Amanda discuss viewing data in Facebook Insights versus Ads Manager. When you have Facebook Live videos, you can download and repurpose them in bite-sized snippets to get the main points across. Or you can simply amplify your Facebook Live video because it already has the social proof of reactions, comments, and shares. Amanda recommends syndication to her clients who have Facebook Live shows; that is, you broadcast from one place but invite people to tune in from several places. Invite people in several places to watch your Live video to increase the number of people in your three-second views audience. If you have a Facebook group and a personal page with a similar and relevant audience, you or somebody on your team can invite people in those places to join your live video stream. So in the timeline, there will be several points of entry, instead of just one. 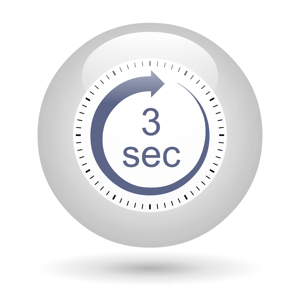 Then anyone who sees the video anywhere for three seconds or more goes into your custom audience. Also, ask your live audience to share. All that sharing gives the Facebook algorithm more cues that your content is relevant. This relevance is important with Facebook ads, because the more relevant your content, the less you pay to get in front of eyeballs. Facebook rewards relevance. I ask what retargeting ads people might use after their live video, especially regular live video. Amanda suggests setting up a retargeting ad that leads fans to some type of sales process. Try to determine if the ad delivers a positive monetary ROI. If the money you spend on the ad generates more monetary value (i.e., you spend a dollar but generate more than a dollar), that financial return suggests that spending more of your ad budget to grow your show will be worthwhile. In other words, you want the people who are watching your live video to convert to your email list, get into your sales funnel, and ultimately become customers. If that retargeting ad is working, and you’re showing positive return on your ad spend, go back and amplify the live video to a larger audience. Listen to the show to discover incentives that prompt people who are watching your videos to take action. To use the app, upload an image, and Swipeable splits it into a series of square images. 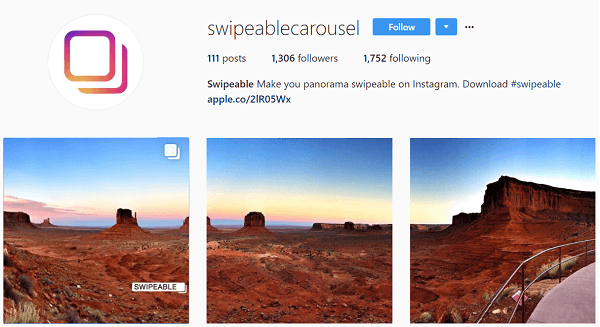 Swipeable uses your whole panorama or 360-degree photo, so if you want to crop anything, do that before you use Swipeable to create your carousel. You can have up to 10 images. Swipeable is a free app that’s currently available only for iOS; however, look for an Android version soon. Listen to the show to learn more and let us know how Swipeable works for you. Learn more about Amanda on the Ad Strategist Facebook page. Watch Amanda’s Breakfast Wine with Bond videos to get into her retargeting audience. Learn more about the Facebook pixel. 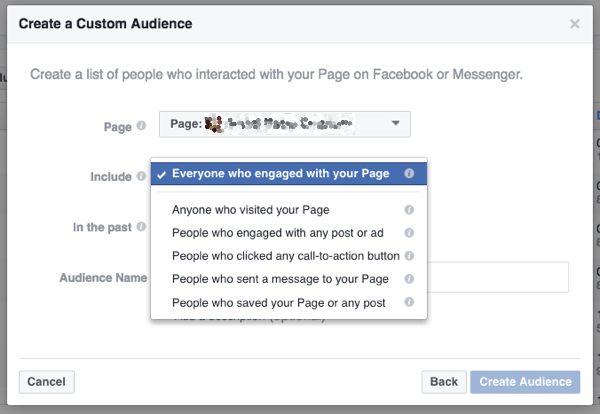 Explore the Audience tab in Facebook Ads Manager. Take a look at Nikki Elledge Brown and her Facebook page. Check out Swipeable Instagram page and get the app for iOS. Read the 2017 Social Media Marketing Industry Report. What do you think? 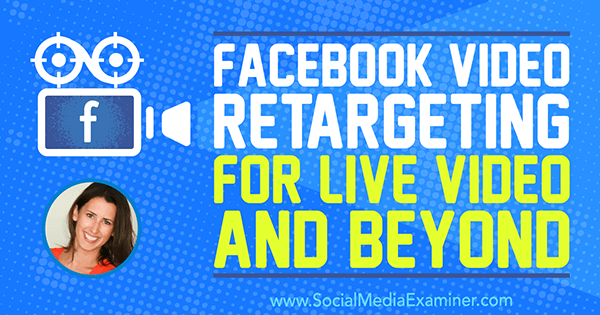 What are your thoughts on Facebook video ad retargeting? Please leave your comments below.